Home » Travel Hacks » Japan unveiled! How to explore Japan using the JR pass!! 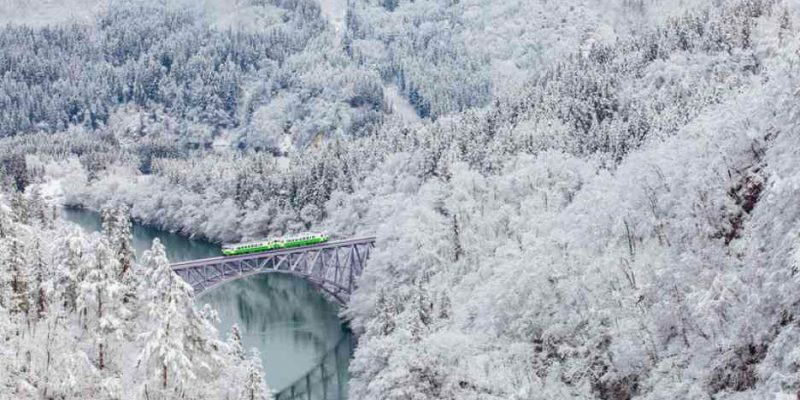 The Japan Rail pass or JR pass is a railway pass provided the Japanese government for tourists. With the purchase of one, you’ll unlock all the trains of Japan. All the metros, bullet trains and connecting trails can be used with this one card. Getting from city to city doesn’t come cheap. It sometimes gets as pricey as $200. With a JR pass, you get two to three weeks of usage at extremely low prices and it is a one time fee. Read on to know more about it. Use this pass for all the trains throughout the country. Komachi trains along the Akita Shinkansen. Do not pass the automatic gates at the entrance, instead use the manned gates while using a JR pass. Which pass do I purchase? Before choosing a suitable JR pass, ponder over the below points. There are two types to it, an ordinary and a green card JR pass. A green card is more like a first-class ticket that costs relatively more but ensures you a perfect first class seat on the Shinkansen. You could also decide what modes of transport you’ll be using in order to cut down on unnecessary charges. Do not wait till the last moment to get your JR Pass sanctioned. Apply well before. We’re talking at least two-three weeks here. If you don’t have your pass in hand while boarding your flight, you’ll end up paying hundreds and hundreds of dollars in the country. As soon as your flights and hotels are confirmed, sit down and apply for a JR Pass here online. Upon registration, you will receive the pass shortly through the mail. After you reach Japan, present it at a JR information desk and get it validated. You’ll be asked your name, passport number and itinerary plans. Handed to you is this beauty after all the formalities are done. Fill out the form at the JR office. Present your passport and the document you collected in the mail. When should I activate my JR pass? You can exchange your voucher for the pass anytime after received. Although you should start using the JR pass 30 days after exchanging the voucher. How do I book the train seats? After getting into a booking station, show your JR pass at the booking counters. You can thereby book your seats without additional charges. Before when can I cancel my JR pass? 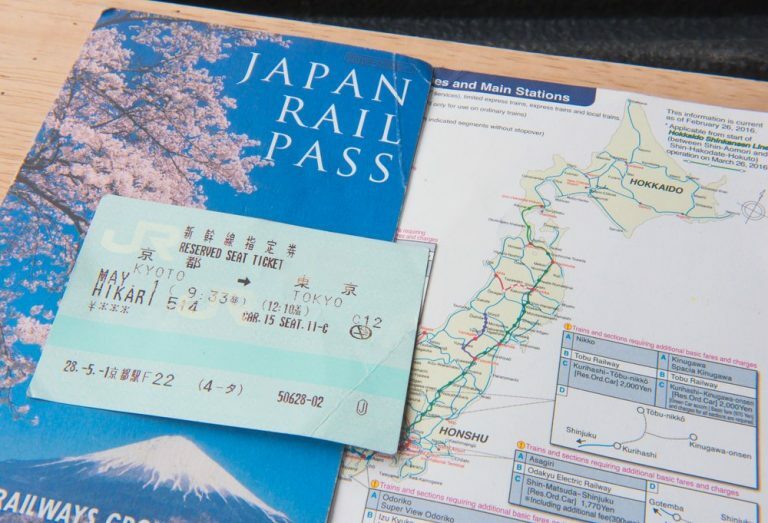 JR pass can be refunded anytime after a year of booking, as long as you haven’t availed an actual pass in a JR office in Japan. i.e before exchanging the voucher for a pass. How much does cancellation cost? It will cost 10% of your order. You will have to return mail it to their offices at Japan and Paris to get a full refund. What do I do in case of loss? If you lost it before exchanging the voucher, you will get your voucher back in 4 months with applied cancellation charges. If you lose it after having exchanged it, you will have to re-purchase it as it cannot be refunded. What are the places a JR Pass is not valid for? Private rail lines, Super expresses, Special compartments and city subways and trams will not accept a JR Pass. Book JR pass two weeks beforehand. Collect the pass from the mail. Land in Japan, get to the nearest JR information booth. Look up routes in google maps. Present the pass wherever necessary, when using the railways. Book your next trip to Japan now. Choose from this list of itineraries too.